The first-ever iconic Japanese Kujira knife was forged by blacksmith Toru Yamashita. 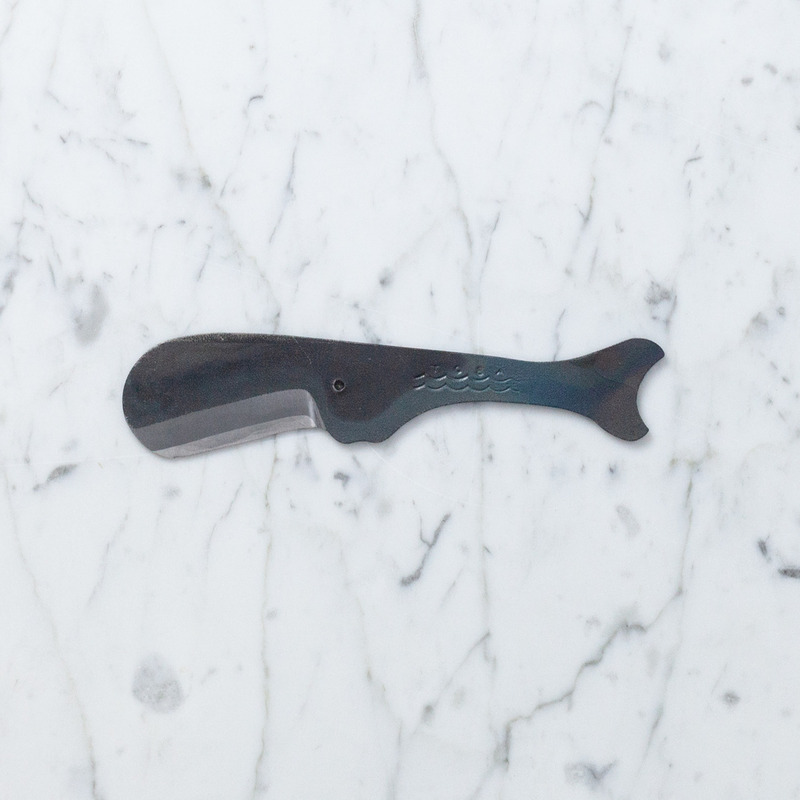 He was inspired to create a beautiful, functional knife that would be keen enough for sharpening pencils (and other knifely duties) but still safe for a child to use. His initial design consisted of a long, slender, easy-to-grasp handle, a staggered blade placed back from the end, a knuckle guard to keep little fingers clear of the cutting edge, and a blunt nose for safety. 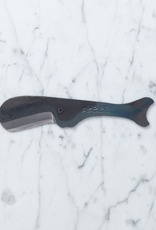 With its large, rounded head, tapered handle tail, flipper-shaped knuckle guard, and baleen-looking blade, the beautiful knife was the spitting image of a sperm whale. Kujira knives—Japanese for "Whale"—became so popular and beloved that a whole pod of beautifully rendered, mammalian-inspired cutting blades soon followed suit. The Original Sperm Whale Knife is made of incredibly durable Shiroko High-Carbon White Steel and the double-edged blade is seriously sharp. This blunt nosed little friend is the star of the bar cart (limes don't stand a chance) and of the picnic basket (the round side makes a good spreader of soft cheeses once they've been pared off the rind), but it is strong and subtle enough to cut pretty much whatever needs cutting. And, of course, it sharpens a mean pencil.